The Monarch butterfly is one of the most well-known species in North America. Renowned for their long-distance seasonal migration and spectacular winter gatherings in Mexico and California. This once common butterfly has recently declined to dangerously low levels. This dramatic decline has been driven in large part by the destruction of their habitat and associated milkweeds -- the only plants the monarch caterpillar will eat. 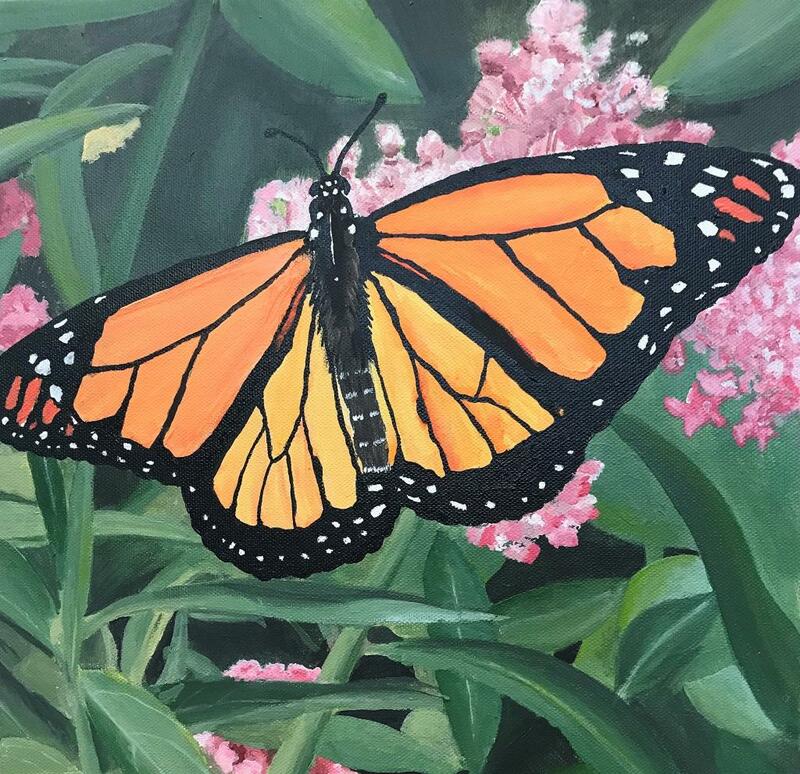 North Dakota Parks and Recreation has made the Monarch butterfly the face of the 2019 annual pass to help raise awareness around the issue. The USFWS is currently assessing the status of the monarch to determine if it needs Endangered Species Act protection. A listing decision is scheduled for June 2019. You can do your part for monarchs by planting native wildflower butterfly or pollinator gardens with milkweed. There are nine species of native milkweed in North Dakota. The most common species are common milkweed and showy milkweed. Other milkweed species include green comet, oval-leaf, plains, prairie, sidecluster, swamp and whorled milkweed. This year, the North Dakota Parks & Recreation Department partnered with the North Dakota Game and Fish Department to put together seed packets to give to all 2019 annual pass holders. Pass holders will receive a one-ounce seed packet containing native flower and grass seeds that will benefit a variety of pollinators. Each packet may contain: Showy milkweed, Butterfly milkweed, Purple prairie clover, Black-eyed Susan, Blanketflower, False sunflower, Wild bergamot, Stiff goldenrod, Sideoats grama and Little bluestem. Choose a sunny location, an area up to 25 square feet. Remove existing grass/weeds by smothering, tilling, or herbicides. Loosen the soil, level and smooth. Spread seed evenly, barely covering seeds with soil, and tap soil firm. Keep soil moist until seedlings are 4 inches tall. Or sow seeds in fall after first frost, or scatter seeds on snow in Feb/March before a snowfall. Wildflowers develop slowly; have patience while plants grow to maturity. Native grasses are included in the mix to help reduce weed competition. Leave plants standing during fall/winter to provide food for birds and trim in early spring before new growth emerges.